The chefs behind L.A.'s Kismet combine Middle Eastern flavors and California style. 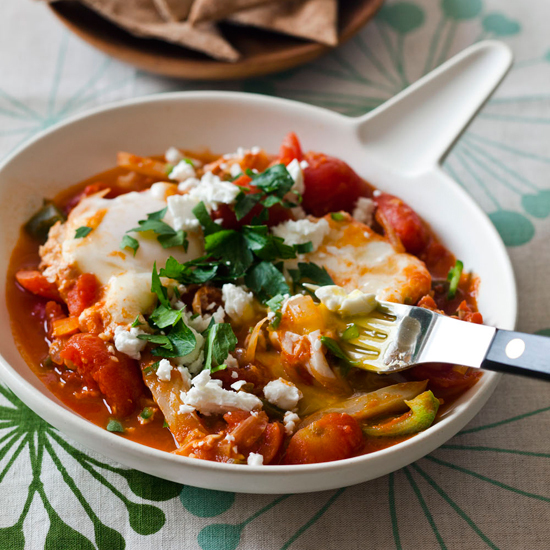 Perhaps inspired by the mega success of cookbook superstar Yotam Ottolenghi, chefs across the US are playing with dukka, za'atar and other traditional Middle Eastern ingredients. 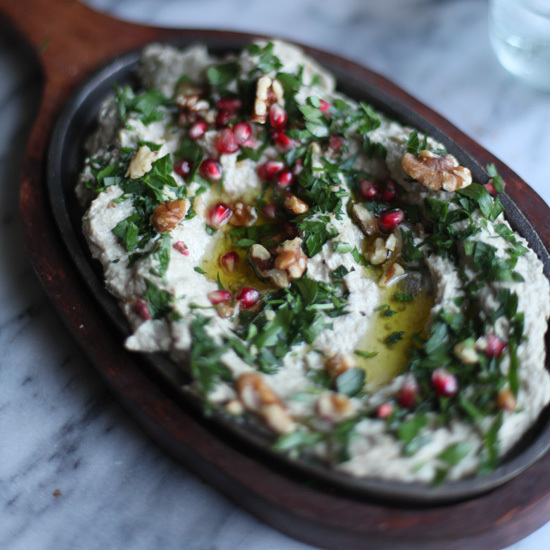 The trend has especially taken hold in Los Angeles, where Middle Eastern essentials like pomegranates and dates grow on trees in the backyard and acclaimed chefs like Jenn Louis and Ori Menashe are opening much-anticipated Middle Eastern restaurants. Enter Sara Kramer and Sarah Hymanson, a duo from New York City driven west by manifest destiny...and falafel. The two worked together at Glasserie, a Middle Eastern restaurant on a quiet street in Brooklyn. They dreamed of opening a falafel shop, but it wasn't until an opportunity in California presented itself that their concept began to take shape. "Los Angeles was so much stranger than I imagined, in a really good way," Hymanson says about the experience of opening Madcapra in Grand Central Market last spring. While the two young chefs clearly have affection for the culinary traditions of the Middle East (Kramer grew up cooking with her Peruvian-Israeli mother), they see the food through a California lens. For example, at Madcapra, in place of greasy chickpea balls, shredded iceberg and pale tomatoes drizzled with tahini and stuffed into a pita, you'll find precisely cut blond squares of falafel expertly rolled in a grilled flatbread with fresh herbs, pickled local peppers and walnut yogurt. At their forthcoming restaurant, Kismet, Kramer and Hymanson will continue to explore this theme through clever shared plates and vegetable-focused mezze. For example, they slowly cook freekeh, a staple grain in countries like Jordan and Israel, until it's thick and creamy before melting in a robust Taleggio cheese, shaping the mixture into balls and deep-frying. 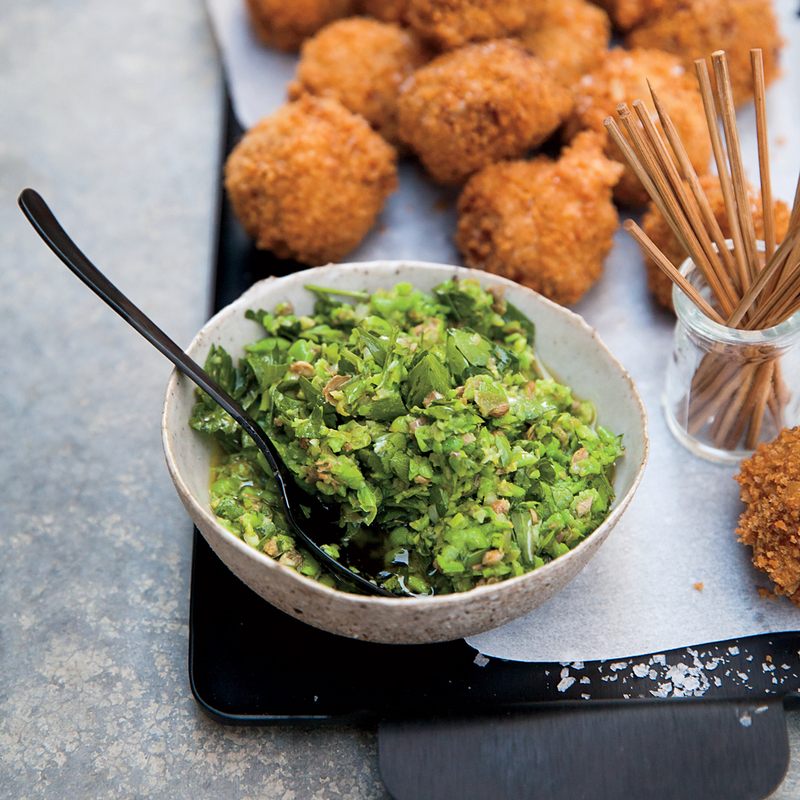 They serve the fritters with a vibrant green relish of sweet English peas, tarragon, parsley and toasty coriander. The result: a snackable dish that is simultaneously crisp and velvety, rich and bright, Middle Eastern and oh so California. (Uh-LEPPO) A dried ground pepper from Syria and Turkey; mildly spicy, tart, fruity. (BAH-ha-ROT) The Arabic word for spices, this all-purpose blend commonly includes black pepper, cumin and cinnamon. (FREE-kah) Nutty-flavored roasted green wheat that tastes like a cross between brown rice and barley. (ke-fir/ke-FEER) Akin to drinkable yogurt, it's usually made with cow's milk. (LEB-neigh) Greek yogurt's thicker, richer Lebanese cousin. Can go sweet or savory. (ER-fah) A smoky, coarsely ground Turkish chile. (shoog) Spicy Yemeni relish made with chiles, garlic, coriander and other spices. 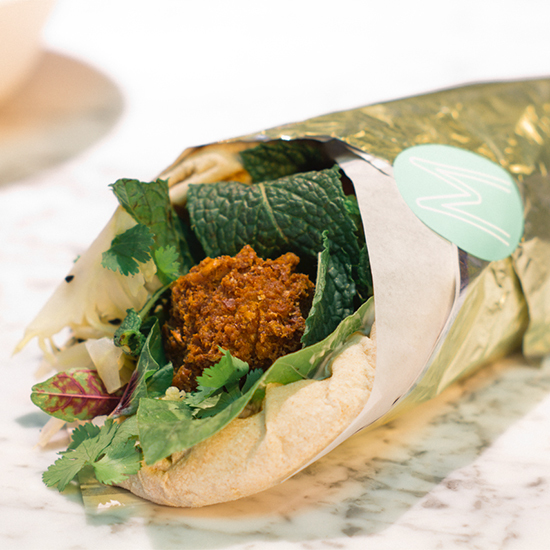 A falafel match made in heaven.